In fall 2015, Alberta runner, speaker and author Martin Parnell read a newspaper story about a young woman who had defied cultural norms to complete the first marathon ever held in her country, Afghanistan. Her name was Zainab, and she had overcome many obstacles to her running, including verbal abuse, disapproval, and threats. Parnell’s life took a new direction when he read her story, traveling to Afghanistan himself to do whatever he could to help. His book, The Secret Marathon: Empowering Women and Girls in Afghanistan through Sport, was published this week by Rocky Mountain Books. Canadians can now get involved by signing up for the Secret Marathon 3K in 10 cities across Canada, to take place on March 6, 2019. Parnell had plenty of experience combining running with charity work: in 2010 he embarked on a project to run 250 marathons in one year, talking to kids and running around school buildings to complete his marathons while raising money for Right To Play, the organization that helps kids around the world improve their lives through sports. But at the time Parnell read the article about Zainab and the first Marathon of Afghanistan, he was recovering from a serious illness that made running impossible. “I was very depressed at the time,” he says, about his long recovery from a blood clot in his brain. “Running has been such an important part of my life, from a health point of view, from a mental health point of view. And [in Afghanistan], men are trying to stop women and girls from running… It’s brought the gender equality issue front and centre to me.” Parnell was also concerned for his granddaughter, who was 12 at the time, and the challenges she would face as a young woman coming of age in the 21st century. Thinking about Zainab’s story kick-started Parnell’s recovery, and he vowed to get involved in some way. One year later, in late October 2016, he was on a plane to Kabul. He had arranged for a documentary film crew, led by Alberta filmmaker Kate McKenzie, to go as well. Parnell and McKenzie planned to run the second Marathon of Afghanistan, on November 4, supporting and encouraging the women and girls who were taking part thanks to Free To Run, the NGO started by Canadian human rights lawyer and herself an accomplished ultrarunner, Stephanie Case. Free To Run’s mission is to empower women and girls in conflict zones around the world to participate in physical activity and sports, even where cultural or religious norms forbid it. In Afghanistan in 2015, race director James Bingham had to find a location for the first Marathon of Afghanistan where runners would be relatively safe. He decided on Bamyan Province, a mountainous region 180K from Kabul, where many Afghans went on holiday, and whose main town (also called Bamyan) was once a major trading centre on the historic Silk Road. The area is also home to Band-e Amir Park, Afghanistan’s first national park, and had once been the site of the largest and most ancient Buddha statues in the world, before they were destroyed by the Taliban in 2001. Bamyan is home to the Hazara people, Shia Muslims who arrived in the region in the 1300’s. The people of the region are considerably more liberal in their attitudes towards girls and women participating in sports than they are in other parts of the country. “The fact that a mixed-gender marathon can even be held in Afghanistan is testament to Bamyan’s unique character,” says James Willcox of Untamed Borders, the company Parnell and the film crew travelled with. Untamed Borders specializes in taking outsiders into conflict areas, and had been guiding groups in Afghanistan since 2006. Even so, the Canadian government at the time was discouraging all travel to the region, due to the unstable political situation and the risk of terrorist attacks and kidnappings. The film’s co-director, Kate McKenzie’s cousin, Scott Townend, decided not to go. And there was no question of their advertising widely for financing and support for the film, which had to be kept under wraps so as not to endanger the marathon’s existence, or its participants (hence the book’s title, The Secret Marathon). And what about the Afghan women themselves? What if this impulse to help was misguided? What if, by encouraging women and girls to run, Parnell was actually making life more dangerous for them? Bamyan is at 2,550m elevation, and the marathon route involved a further ascent of 500m. Few of the participants were well acclimatized to the altitude, including Parnell, which made it doubly challenging. On the day of the race, Parnell ran with Kubra, a young woman who had also been inspired by Zainab and her friend Nelofar, both of whom had been supported by Free To Run to participate in the 2015 Gobi Ultra in China. Kubra had been unable to train much, and Parnell initially felt she should opt for the 10K taking place alongside the marathon. But he began to realize how much it meant to her to tackle the full distance. He encouraged her, running and walking, while she struggled with stomach cramps and fatigue. They finished a few minutes under the seven-hour time limit. “I have run many marathons in my time, some faster than others,” writes Parnell. “This was my slowest official time, but completing it with Kubra certainly made it one of the most memorable.” Kate McKenzie was elated at being the third woman to cross the finish line. He goes on: “… tourism is… not any kind of solution to Afghanistan’s myriad problems and neither is a foot race. However, Afghanistan does not only have to been seen through a prism that only focuses on problems.” Since the race’s early days, Willcox has worked to make the marathon financially sustainable through sponsorship by local businesses, to raise its profile on the international marathon scene, and to create a mixed-gender marathon training group in Afghanistan so that more local runners can compete. Parnell asked all the women who participated to contribute their stories to the book, and he was careful to make sure they were happy with how they were portrayed. Though two did not want their real names used, only Nelofar asked to be removed from the film for her own safety (though she agreed to appear in the book). The other women insisted that Parnell use their full names. The film is expected to be released in May, 2019, in time for the festival circuit. In Parnell’s book, McKenzie shares her own story of what running has meant to her in her struggle to be mentally healthy. “If I couldn’t run, if I couldn’t find a release, I don’t know what I would do,” she writes. “The idea that Zainab didn’t have that kind of freedom really hit me. 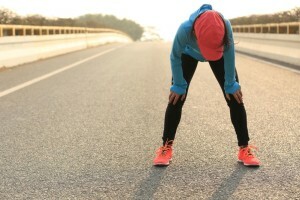 What if running wasn’t an option to find a healthy release? Everyone deserves to be free to run, and I wanted to help.” McKenzie adopted modest clothing and wore a hijab, out of respect for local customs and religious beliefs. Zainab was unable to participate in the 2016 marathon, and though she and Parnell have met on Skype and she contributed to the book, they have not yet managed to meet in person. Since the marathon, Parnell has continued to be involved in efforts to bring other sporting opportunities to the girls and women of Afghanistan, including camping, kayaking, hockey, and ice skating. He returned for a visit this fall, acting as a pace bunny for the 20 girls aged 14 to 19 who took part in this year’s Marathon of Afghanistan.